We’d love your help. Let us know what’s wrong with this preview of Among the Fair Magnolias by Tamera Alexander. An Outlaw's Heart by Sh Four Southern women are at a turning point in history . . . and in their own hearts. To ask other readers questions about Among the Fair Magnolias, please sign up. Overall I am disappointed. But I almost expected to be. I LOVE and own every book Tamera Alexander and Elizabeth Musser have written. I struggle with Dorothy Love's writing style and haven't enjoyed the books I've read. I haven't read anything my Shelley Gray. My favorite of the novellas was "To Mend a Dream" by Tamera Alexander. We are introduced to Savannah Darby in To Win Her Favor and I was excited for her to have a happy ending. It is a novella so it is very fast paced, but the story is s Overall I am disappointed. But I almost expected to be. I LOVE and own every book Tamera Alexander and Elizabeth Musser have written. I struggle with Dorothy Love's writing style and haven't enjoyed the books I've read. I haven't read anything my Shelley Gray. My favorite of the novellas was "To Mend a Dream" by Tamera Alexander. We are introduced to Savannah Darby in To Win Her Favor and I was excited for her to have a happy ending. It is a novella so it is very fast paced, but the story is so good. Definitly a 5 Star read. I also enjoyed "Love Beyond Limits" by Elizabeth Musser. At first it read a little like a history book but the story quickly captured my attention. I think it would've been better suited for a full length novel. And maybe there will be a novel spin off. This was was a solid 4 Stars. I did not like "The Outlaw's Heart" or "A Heart So True." I never became interested in those stories. And they brought the overall rating down. These stories are pure delight. You'll feel the flavors of Southern life in the 1800s and root for these couples to find true love. It's hard to pick a favorite! Each one is pleasing in its own way. Over the course of my reviewing time, I have really grown to love reading and reviewing novella collections such as this one because the book sets a theme and some of my favorite authors team up and write similar, yet equally unique, short stories. In Among The Fair Magnolias, I only knew two of the four authors (Tamera Alexander and Dorthy Love) but was excited to try the other two's writing. Each one of these stories are charming and I was not disappointed with the characters nor the plots. Ea Over the course of my reviewing time, I have really grown to love reading and reviewing novella collections such as this one because the book sets a theme and some of my favorite authors team up and write similar, yet equally unique, short stories. In Among The Fair Magnolias, I only knew two of the four authors (Tamera Alexander and Dorthy Love) but was excited to try the other two's writing. Each one of these stories are charming and I was not disappointed with the characters nor the plots. Each author has a writing style that blended perfectly with the other's and I was very pleased with how each of the stories fit together to match the title. Among the Fair Magnolias is probably one of my favorite novella collections and I am sure that I will be rereading each of the stories throughout my future! 5 out of 5 stars and highly recommended! The four star rating is for Dorothy Loves and five stars and beyond for Elizabeth Musser's read. I've always enjoyed Loves writing style without all the frills that comes with some authors. This was my first time reading Musser and it was the finest novella I've yet to read; it was woven with excitement and complete unpredictability. I never would have guessed how this little story would have ended. I also appreciated her writing style; it was refreshing to read something without constantly havi The four star rating is for Dorothy Loves and five stars and beyond for Elizabeth Musser's read. I've always enjoyed Loves writing style without all the frills that comes with some authors. This was my first time reading Musser and it was the finest novella I've yet to read; it was woven with excitement and complete unpredictability. I never would have guessed how this little story would have ended. I also appreciated her writing style; it was refreshing to read something without constantly having to be reminded of the characters hair color and raging beauty! Love and Musser reads were really nice. I really enjoyed this anthology! Tamera Alexander definitely stands out among the authors with quality characters and wonderful prose. All of the stories are very good and I plan to check out more books by all of these talented authors. A fantastic read for Historical Romance fans interested in the Pre-Civil War, Antebellum, or Reconstruction Era of the Southern United States. Among the Fair Magnolias is a wonderfully entertaining and moving collection of stories. It's all about historical romance and being southern fiction is a bonus for me, but these character-driven stories rise above that genre with their compelling storylines set during a turbulent time in America's history from 1860-1878. There's no way I could pick a favorite because all are well written and compelling in their own way. Among the Fair Magnolias . . . What an evocative title for these four novellas featuring Southern women with hidden depths! As a life-long resident of Georgia, I've always known of the magnolia blossom's association with the perseverance, dignity, and strength that Southern women possess - the ingrained ability to not just endure hardships, but to rise above them. And that is exactly what you will find here. I highly recommend this novella collection with surprising depth. A Heart So True by Dorothy Love - Duty, politics, physical abuse and action that held my interest are just a few elements that we see in Dorothy's story. I loved revisiting the Pawleys Island, South Carolina, setting of Carolina Gold and even seeing a few familiar faces. A little more "together" time and relationship development for Abigail and Wade would have added a lot, though. To Mend a Dream by Tamera Alexander - Savannah Darby was a memorable secondary character in To Win Her Favor and I'm so glad Tamera was able to feature her here. This is a beautiful and poignant story packed with intricacies skillfully woven together. Everything about Savannah and Aidan is real and touching, with great chemistry between them. And the story beautifully illustrates God's quiet orchestration of our lives, expressed as they reflected on how often "He interlaced such painful parts of this earthly journey with such joyous ones, weaving them together with such skill and grace. And beauty." Love Beyond Limits by Elizabeth Musser - This is the first story by Elizabeth Musser that I've read and let me just say that I will be searching for more immediately, for anyone who can write such a moving and eye-opening story as this demands my attention. I loved the Georgia setting, although I learned a lot about my state's Reconstruction history that I'm not proud of. Elizabeth spins a poignant story that features themes of racial superiority and taboo relationships, making me realize that our world hasn't progressed all that much. And I had so much admiration for the lead characters, Emily and Thomas. An Outlaw’s Heart by Shelley Gray - Up until now, all I have read by Shelley Gray has been Amish fiction, but it's evident that her creative storytelling ability carries over to other genres as well. Russell Champion's story evolved from Shelley's previous historical series and I simply loved this flawed character, as well as Nora and others in the town. Poignant and touching, this story beautifully conveys forgiveness, change, and that we shouldn't always define people by their past - and that you really can go home! There is such fun in discovering new authors. Before reading this I only knew two of the four authors, so it was great reading from Dorothy Love and Elizabeth Musser for the first time. As a book-lover I relish getting drawn into the pages of a story, and this novella collection gave the perfect opportunity. With southern charm prominent in its pages, Dorothy Love’s A Heart So True was a nice read. It took some time for me to get used to the author’s writing but after a while of settling in I liked it. I really liked the setting of this story. South Carolina is truly a beautiful place and it is so full of great history. It was great reading about it from a fictional character’s POV. Elizabeth Musser’s Love Beyond Limits was the most difficult to read in the collection, as most stories about war are. Its sense of intrigue made me determined to keep turning pages. I did, however, find it hard to fully connect with the characters of the story. But there were some oh-did-not-see-that-coming twists that deeply surprised me. Really. This is one story that will keep you guessing ’till the end. This collection of novella's all deal with the time period just before or after the American Civil War. Each of the stories deal with loss and the strenghth of the characters because of their trials. Before this book I was familiar with Tamera Alexander's writing, but not the other author's. I enjoyed each of their stories and their individual writing styles. The book happens in different Cities/States, all of them are in the Southern United States. I loved that the stories all looked at the time This collection of novella's all deal with the time period just before or after the American Civil War. Each of the stories deal with loss and the strenghth of the characters because of their trials. I loved that the stories all looked at the time period from a different point of view. There is the young lady who knows that her love interest will be going to war soon. Another young lady fights for the newly freed blacks. The other two deal with the loss of life after the war and the struggle to live without husbands and father's. Four beautifully written novellas with their own unique style and story; particularly engaging because several are anticipated successors to fine quality full length novels; serving to extend those wonderful stories. During a time period when our nation was reeling from dreadful internal conflict, it's nice to remember that love found a way to prevail; in and out of, the pages of a book. Among the Fair Magnolias is an exquisite blending of four novellas that captures southern history during one of its most turbulent decades. Each story has an abundance of rich language that brings the south to life on the page, is full of great characters that stick to their morals and firm convictions, and the story lines will leave you as the reader asking for seconds. These four southern love stories prove to be just as sweet as peach cobbler. 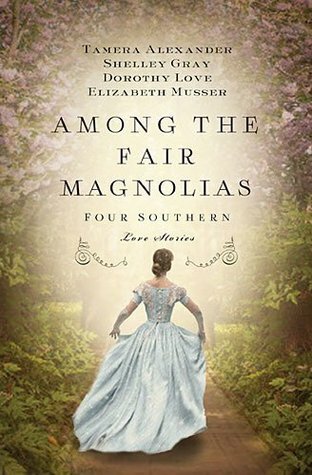 My-oh-my was this collection of four Among the Fair Magnolias is an exquisite blending of four novellas that captures southern history during one of its most turbulent decades. Each story has an abundance of rich language that brings the south to life on the page, is full of great characters that stick to their morals and firm convictions, and the story lines will leave you as the reader asking for seconds. These four southern love stories prove to be just as sweet as peach cobbler. My-oh-my was this collection of four novellas just the best thing since sliced bread! I just adored every single novella that was in this book. From the beautiful cover to the deep and complex story lines, I was seriously impressed. I am still new to the novella game as a reader because I am always hesitant about not seeing enough resolution in the characters or the plot line. We are talking a whole story from beginning to end in under 100 pages or so, and sometimes that makes me nervous as a reader. I want resolution! I want to be satisfied with my read! All simple things a reader thinks about when picking a book to read. Still, I knew about all of these authors and have read their works prior to this so I was a little bit more open minded to the experience. As I stated above, this collection of stories exceeded my expectations (but now I want more!). Each story was placed in the south during or around the time of when the civil war was ending or the area that the story was placed had been recovering from it. From there we are introduced to four strong willed women who are firm in their beliefs and have minds of their own. Those two qualities are very interesting because it's during a time where most women (at least to my knowledge) were not as vocal or at least encouraged at all to speak their opinions of any matter. I loved how well developed each woman was and how each author wrote them throughout the story. Plus, each male character that was their opposite complimented each woman so well. I just loved the way we were able to see four different relationships in such beautifully sweet story lines. I loved how well involved in history Elizabeth Musser's story was. It dealt with the time of when many southerners were helping, now freed slaves, escape the wrath of the Klux Klan. It was such a dramatic time and I felt that Musser really crafted her story well when it came to keeping it short. However, it still packed a punch for me as the reader and it opened my eyes to a time I wasn't aware of in that part of the south. Personally, I think it was the most moving out of the four novellas. Tamera Alexander's story about Savannah Darby is a great treat for any readers of To Win Her Favor as she is a character that is in that book and now she gets her own story! Alexander always knows how to write a story that no matter how short or long she never disappoints with making a girl sigh. *sigh* It was a really fun story to read and was a great light read addition to these four novellas. I loved Savannah and her siblings and I loved reading about Aiden's connection with them and how they finally got their happily ever after. Sweet as peach cobbler I say! Each story was the most delightful thing I have read all summer. Pick up a slice of your own and taste the sweetness that is this collection of novellas! I received a free copy from Litfuse Publicity in return for an honest review. During the most turbulent decade of our nation's history, four Southern women---their destinies forged by birth and heritage---face nearly impossible choices on their journeys in life . . . and in love. Abigail Clayton hopes to reconcile with Dr. Wade Bennett and become his wife. But her father insists she marry her distant cousin Charles Kittridge so the plantations of the two families will be joined. With her wedding looming, Abby must choose between duty to her f During the most turbulent decade of our nation's history, four Southern women---their destinies forged by birth and heritage---face nearly impossible choices on their journeys in life . . . and in love. My thoughts: This was a sweet story. Abby Clayton knows her heart, and it is true to Dr. Wade Bennett. She is not fond of Charles at all and has had encounters with him that prove she doesn't want to marry him, but her father and Charles are insistent. It would benefit Abby's father's run for governor and ensure Abby is taken care of... Since this story is set five or so years before the start of the Civil War, in South Carolina, and we all know our history... Well, ignorance is bliss, right? The story was slow, but the writing was stellar. I definitely had my opinions about the two men vying for her attention. If you like sweet historical romances, A HEART SO TRUE is a cute story. It was a good lead story for this collection. 4 stars. So when the new owner Aidan Bedford seeks to redecorate the house for his fiancée, Savannah jumps at the opportunity. But can she find the box her father supposedly hid there during the war before her assignment is completed? And before she sees yet another battle lost on the home front---this time, a battle of the heart. My thoughts: This is the most adorable story! I absolutely loved TO MEND A DREAM. Savannah and Aidan were both very well developed characters and I cared for both of them deeply. I thought Aidan had known her boyfriend during the Civil War--not exactly the case. I didn't care at all for Aidan's fiancee, but I know Savannah needed the money to take care of her brother and sister. An absolutely wonderful story. I will look for more books by Tamera Alexander. 5 stars. Emily Derracott loves her childhood friend Thomas McGinnis, but she cannot marry a man who doesn't share her strong convictions about the freedmen. Besides, she harbors a secret love for someone else. But the prospect of becoming his wife is not only improbable---it is completely impossible. My thoughts: This was a rather sad book to read, even this many years later. It is terrible how the KKK treated fellow Americans. I know it was real, and it added for lots of tension, but the story broke my heart multiple times. I did like both of the main characters and even some of the secondary characters, and had to admire Emily's efforts. The story is well written and seemed true to history. A nice addition to this collection, and a sweet ending. 3.5 stars. My thoughts: I love Ms. Gray's Amish romances, but this one not so much. It was well written in Ms. Gray's classic style, but the writing almost seemed amateurish compared to her Amish stories. Russell left home seven years ago because he murdered his step-father for sexually abusing Russell's fiancee. His mom and his fiancee reject him for being a murderer so he leaves and joins a violent gang. But now he's back--for reasons unknown. I couldn't connect with this characters though I did want to. 3 stars. Over all thoughts: I love these four in one collections, but this had one story that I truly enjoyed. The others were okay. If you like historical fiction and are fans of these authors work, you will probably love AMONG THE FAIR MANGOLIAS. Its also a good way to get a taste of different author's work. I did find a new-to-me author I'd like to read more by. Over all, 3.875 stars. Rounded up to 4. My Review: This story is set in pre-Civil War times, 1860, and yes there is war talk and with her father hoping to run for Governor of NC, Abigail has to be on her best behavior. Of course, we know all things cannot run smooth, and with her heart on the line what can she do? Savannah Darby would do almost anything to revisit her family home. So when new owner, Aidan Bedford, a Boston attorney and former Union soldier, seeks to redecorate the house for his fiancée, Savannah jumps at the opportunity. But the clock is ticking. Can she find the box her father supposedly hid there during the war before her assignment is completed? And before she sees yet another battle lost on the home front. This time, one of the hearts. My Review: Tamera Alexander’s story is set just after the Civil War has ended, and Savannah Darby’s family has lost everything. Savannah lost both of her brothers and her father to war, and her mother to illness. She now has the car of her two younger siblings, and is earning a living as a master seamstress, and she ends up at her old family home to make drapes and pillows, etc. She is also looking for a box that her father had hidden. Will she be able to work in her old home holding so many memories? Will she be able to help her family by figuring out where that box is? Or will something very unexpected happen? My Review: Abigail’s heart belongs to her family’s former slaves, in more way than one. She has taken it upon herself to teach them to read at the new school. We are in a period after the Civil War, and people of color have been granted the right to vote. The Klan is making their feelings know by murdering and burning, such a sad time in our history. Abigail has her heart torn by two men in her life, one is beyond reach, and the other may be responsible for some of the terrible deeds that are happening in the area. This one will keep you thinking long after you turn the final page. When Russell Stark returns to Fort Worth, he's determined to begin a new life. But when he arrives at his mother's homestead, he discovers she's very ill, and the woman he loved is still as beautiful and sweet as he remembered. With time running out, Russell must come to terms with both his future and his past. My Review: Hard lesson are learned in this novella, a mother’s fear and not protecting her son, and woman who feels she has lost her true love. Decisions that have been made and actions that happened, and now forgiveness, and the hardest of all forgiving yourself, as you forgive those who have hurt you. When the man you have always loved has hurt you, you become prey for charlatans. All of the Novella’s are set around the 1860’s and the Civil War, and can be read in a single sitting, but they are so good you can’t stop at one. Enjoy! I received this book through Litfuse Book Bloggers Tour and was not required to give a positive review. As is often the case with novella collections, I liked a couple of the stories more than the other two. But all four novellas are shining examples of the tremendous talent belonging to these authors. In fact, each of these stories could easily have been the foundation for its own novel, and I found myself greedily wanting them to be. “A Heart So True” felt to me like I was dropped in the middle of an ongoing story… which is fine, except that I wasn’t. At least not as far as the main characters we As is often the case with novella collections, I liked a couple of the stories more than the other two. But all four novellas are shining examples of the tremendous talent belonging to these authors. In fact, each of these stories could easily have been the foundation for its own novel, and I found myself greedily wanting them to be. “A Heart So True” felt to me like I was dropped in the middle of an ongoing story… which is fine, except that I wasn’t. At least not as far as the main characters were concerned. I needed more backstory to embrace the hero and heroine as a couple, and while we were told some of their history I didn’t really “feel” it. There were many scenes with her friends that I thought could have been used to focus on the couple instead. That said, the story was so well-written and the characters so engaging that I wanted to hop the nearest ferry and invite myself to the barbecue! And that day the main characters spent together in the city? Oh be still my heart – so bittersweet! I had been waiting the most anxiously for “To Mend a Dream” after being so intrigued by the glimpse I received of Savannah’s story in To Win Her Favor. As usual, Tamera Alexander did not in any way disappoint. The pace, the characters, the romance, the plot – all elements were so solidly executed that I forgot I was reading a novella. My only clue was the fact that it ended far sooner than I liked! When it came to “Love Beyond Limits”, I didn’t know which hero to root for, and maybe that was intentional. The antebellum South was a period of difficult choices, of polarizing decisions. The love in Emily’s heart raised those stakes a thousandfold. I found myself wondering how many people found themselves in similarly agonizing situations and were forced to calmly accept the fate that society had prescribed. While the romantic angle to the story may have been dissatisfying at times, I thought the historical portrait Musser painted – and the implications in today’s unsettled times – were eye-opening. This story, maybe more than any of the others, will stick with me for a long time. “An Outlaw’s Heart” was one of those stories that played out like an old Western movie – with heart. Nora’s sweet spirit and Russell’s sincerity appealed to everything I adore about this time period. Add in the bad guy and the townsfolk and you have a formula that rings true every time! (The people of the town really made this story for me.) Shelley Gray always always writes with such heart that you can’t help but be drawn to her characters, and I think that’s why readers of her other western novels wanted Russell to have his own time in the spotlight. Bottom Line: You can’t go wrong with these four outstanding authors at the helm. I’m sure that like me you will have your own favorite (and least favorite) story of the bunch, but each novella is still in a class even above some full-length novels I’ve read. If you love antebellum settings and stories about women caught between two choices, this is a great anthology for you to grab! Abigail Clayton wants nothing more than to marry Dr. Wade Bennett. but her father seems to have other ideas. He wishes for her to marry her distant cousin, in hopes of keep the plantations in the family. But little does her father know that the cousin he want's her to marry isn't all he's said to be. Savannah Darby longs to go home once more, but after her parent's death's she's always been to busy caring for her little brother and sister. And maybe her longing to go home has a bit of wanting to find a box, her father hid years prior. So when she has a chance to help redecorate the home for the new owner and his fiancée, she is beyond ecstatic. She expects finding the box won't be easy, but little does she expect that love will get involved. Emily Derracroft has never agree with the way the south feels about slavery. So when a long time friend, who agrees with the south, states his wish to marry her, she is appalled by the question. How can she marry someone who thinks slavery is actually okay? And the bigger question is how can she marry him, when she loves another? Especially when the one she loves, will be put in danger if everyone finds out. As a teenager Russell Champion did something unthinkable, now after years of being an outlaw, he's back in town. He finds his mother's health isn't so great but then again, he hasn't been back home in a while. She tells him of a girl who takes care of her, but he never expected it to be his long lost love Nora. Seeing Nora after so long was unexpected, and seeing her with another man is defiantly unexpected. Russell finds that something isn't quite right with the man, and he's going to prove it to Nora. Among The Fair Magnolia's is a wonderful novella, with equally wonderful author's. I really enjoyed each and every love story in this book. I hated to see this book end. I can not wait to see what each of these authors write next! I've read one other book by this author that was slow in parts to me, but this novella was a great pace. I immediately liked the heroine, Abigail. I wasn't sure how the romance would play out - if the guy she didn't want to like she would end up liking or if the guy she did like would be the one. It was interesting seeing how the romance played out. I loved the setting and there was plenty of tension and some sweet romance. I thoroughly enjoyed it! I loved this story. It definitely was my favorite. I loved the way it started off and the short, but important, roles of the Savannah's siblings. I loved the conflicting emotions of both main characters and how, as a reader, I got to feel their emotions and read what they were thinking. There were some interesting questions brought up. I also loved the chemistry between Savannah and Aidan. The ending was a little rushed, but so sweet. This story was so heartbreaking! I didn't know how to feel about Thomas and also about Emily's reactions. The whole ordeal was just depressing. It always makes me so mad to read about the Ku Klux Klan and the violence against African Americans and whites that supported them after the war. I appreciated that the author was honest in the telling. I also liked that there was a nice twist to this one and how that one things changed everything. A great story! This story fell a little short for me. I didn't feel the depth in the characters as the other stories and I felt like the dialogue and situation was a little forced. I also didn't know the other characters who appeared to have cameos from prior books because I haven't read those. Otherwise, it was a sweet story with some fun twists. Overall the compilation was enjoyable. One story was disappointing to me, but the other three were really great. If you enjoy these authors' other books, or enjoy reading historical Christian romance then I'd recommend this compilation. There were some yummy recipes and some good discussion questions in the back that would be perfect to use for a book club as well. Highly anticipated, I loved each author's story telling creativity! After loving Tamera Alexander's, To Win Her Favor, I appreciated being party to Savannah's own story, her siblings care, and the opportunity for both a life and a love of her own. Definitely a wee bit of love for her worthy hero! Delightful conclusion to the mystery search as well. An Outlaw's Heart: A Southern Love Story by Shelley Gray Wonderful story from a male point of view told with spare masculine dialogue I found authentic and refreshing. The twists were reading pleasure! And his willingness to act made me a cheerleader. Definitely a satisfying conclusion to Elizabeth Musser's insightful story, Love Beyond Limits: A Southern Love Story. And a delight to read a story by an expat living in Lyon France for our #ParisinJuly theme this month! Elizabeth's Lemon Filled Coconut Cake is a sure winner for any patisserie lover [recipe included] Merci Elizabeth! 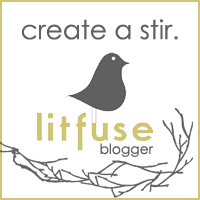 I loved the inclusion of author recipes mentioned or featured in each of the stories. A Heart so True~ This novella is set in the same area as some of Dorothy's other novels, with main characters making an appearance as tertiary characters here. It is a short story about one woman's speed-bump to love. While the story was sweet, I did not see much in the way of a theme or message. I would have said that the theme was to marry only for love, yet Abigail states that she will marry whomever makes her mother happy. In the end, I believe she made the only decision which I could respect her from. To Mend a Dream~ I have previously read To Win Her Favor, the novel precluding this in which Savannah was a secondary character. Thus I was well acquainted with her background and was interested in what Savannah would be able to discover in the box left by her father. While I'm not much of a fan of insta-love, the idea worked well for the length of this story and gave Savannah a perfect happy ending. A Love Beyond Limits~ A Love Beyond Limits is less of a romance and more of a snapshot of history told through the eyes of fictional characters. The story was heartbreaking and bittersweet, if not really romantic in anyway. I think this is a story I would have enjoyed far more if it had been a full length novel, as there was so much more I would have liked to have seen with these characters. An Outlaw's Heart~ This final novel felt the most complete, if a little rushed toward the end. It was an emotional read with broken characters who learn forgiveness. Like A Love Beyond Limits, I think it would have done more for me as a full length novel, yet it was still a good read. Overall this is a cute collection of stories, showing off the authors' skills and abilities. I did not enjoy it as much as I had hoped or as I have other novella collections. Unfortunately, the stories did not feel like they were meant to be told in such a short page length, and instead felt like writing samples rather than full stories. But if you get the chance, they are still worth the read. I really enjoyed this collection. The Civil War/Antebellum south has been one of my favorite eras to read about for a long time. All of these authors succeeded in creating stories that transported me to another time. The great thing about novella collections is getting to sample the writing of several authors, especially those you may not be familiar with. Tamara Alexander is one of my favorite authors, but I haven't read anything by the other authors. I enjoyed getting a taste of their writing. I really enjoyed this collection. The Civil War/Antebellum south has been one of my favorite eras to read about for a long time. All of these authors succeeded in creating stories that transported me to another time. The great thing about novella collections is getting to sample the writing of several authors, especially those you may not be familiar with. Tamara Alexander is one of my favorite authors, but I haven't read anything by the other authors. I enjoyed getting a taste of their writing. Each novella was well written and actually more in depth than I excepted. I often find I have to suspend my disbelief a lot when reading novellas because things have to happen so quickly in such short stories. I didn't find that too much in these stories. These stories were actually a big longer and more in depth than I was expecting. I have to say that Tamera Alexander's was the story I liked the best. Not just because she's one of my favorite authors, but because I had just finished her novel, To Win Her Favor, and her novella in this book involves one of the minor characters from that novel. So it was fun to get to see her story unfold. You do not need to read the novel in order to enjoy the novella though. Overall this is a nice collection of sweet, historical romances with a solid thread of faith throughout. I highly recommend it, especially if you haven't sampled these authors' work before. Four well-known authors join forces to create one exceptional novella collection. A Heart So True by Dorothy Love -- A woman caught between love and duty. Righteous indignation was front and center as I read this novella. Abigail's father is...well, I don't have words. A stark look at how women were treated as commodities. To Mend a Dream by Tamera Alexander -- Sqqqueallll!!!!! So thrilled to discover Savannah Darby's story in this collection. She captured my attention in To Win Her Favor and I w Four well-known authors join forces to create one exceptional novella collection. To Mend a Dream by Tamera Alexander -- Sqqqueallll!!!!! So thrilled to discover Savannah Darby's story in this collection. She captured my attention in To Win Her Favor and I was so hoping that the author would share more about this intriguing character. And voila -- here it is -- Savannah's very own story. A rags to riches tale that captured my heart. Love Beyond Limits by Elizabeth Musser -- A difficult look at post civil war plantation life in Georgia. A mini history lesson packed with emotional depth and fragile hope. Totally captivating. An Outlaw's Heart by Shelley Gray -- This novella has ties to A Texan's Honor and I was thrilled when I put the pieces together -- especially since I read the book three years ago! Talk about writing talent when plots and characters stick with an avid reader years later! A very special second chance love story that breathes hope for a future despite all odds. My thanks to Thomas Nelson and Litfuse Publicity Group for supplying me with a review copy of this book. I have a love/hate relationship with novellas. I love that they are short and usually easy to read and entertaining. I also love that I can get a taste of new-to-me-authors without committing a lot of time to a full novel/series. I hate that they are short... especially if they are GOOD!! :) I want to know the rest of the story. Sometimes, I feel that novellas are just rushed to end too soon and it makes them less than. Less than as good as they could be if they were a little longer. Or a lot lo I have a love/hate relationship with novellas. I love that they are short and usually easy to read and entertaining. I also love that I can get a taste of new-to-me-authors without committing a lot of time to a full novel/series. I hate that they are short... especially if they are GOOD!! :) I want to know the rest of the story. Sometimes, I feel that novellas are just rushed to end too soon and it makes them less than. Less than as good as they could be if they were a little longer. Or a lot longer. Out of the four novellas in Among the Fair Magnolias, there were three that I wished would have been longer. Yes, they were complete... maybe a little rushed, but mostly they were so enjoyable that I wanted them to keep on going with the rest of the story. I won't tell you which of the three I enjoyed the most, because I don't think the writing was bad, I just didn't enjoy the storyline as much. This book is made up of four Southern Romances by four amazingly great authors. The stories are:, To Mend a Dream by Tamera Alexander; An Outlaw's Heart by Shelley Gray; A Heart So True by Dorothy Love; Love Beyond Limits by Elizabeth Musser. In all four of these stores, these interesting ladies have to make decisions that will be life changing. And with each of these authors, they make their story, characters and plots interesting enough that readers will be back for more. These stories are short, but they are really good. Perfect for the times you don't have enough time to read a full blown book. Southern with a little bit of romance, now that makes for an entertaining and exciting read. Don't wait to pick up your copy! Among the Fair Magnolias takes you into the deep South. Each story brought out a unique voice by talented writers. Unfortunately not all of them were to my taste this time around. One of the stories seemed overly pushy on the political side of things; I'm not into politics, so having it thrust at me was quite jolting. Another of the stories included a predictable love triangle where one guy is a big jerk and the other is a broken man finding his way again; this storyline is overused in today's entertainment (books, movies, and TV shows), in my opinion. Each of the four stories are connected by their location and time period. Each one is set in the south during or close to the Civil War. The women in each story must overcome obstacles to have the men they love. Each author captured the essence of the time period. I enjoyed each of these stories and found some new authors to check out. The one author I was familiar with took a secondary character from one of her previous books and wrote a love story for her. It was really fun to go back and visit Each of the four stories are connected by their location and time period. Each one is set in the south during or close to the Civil War. The women in each story must overcome obstacles to have the men they love. Each author captured the essence of the time period. I enjoyed each of these stories and found some new authors to check out. The one author I was familiar with took a secondary character from one of her previous books and wrote a love story for her. It was really fun to go back and visit them again. It made me want to read other books by the other authors to see if they did this as well. Rich stories that really showcase each author's writing style and the history for that time period. I had to read this collection because it has a novella from my friend Tamera Alexander. If you read her latest book, , then you may have been as curious as I was about what happened to Savannah Darby. In her novella, To Mend a Dream, she lets us know. It is a rich story that is perfect for the novella length. This entire collection is perfect for those who love a good story, but don't necessarily have time to invest in a full-length novel. Instead, inside this package are 4 novellas by acclaimed I had to read this collection because it has a novella from my friend Tamera Alexander. If you read her latest book, , then you may have been as curious as I was about what happened to Savannah Darby. In her novella, To Mend a Dream, she lets us know. It is a rich story that is perfect for the novella length. I have mixed feelings on the book as whole, but overall was more impressed than I expected to be. This was my first time reading all 4 authors, so I have no previous experience with their other writings. The cover was beautiful, and I am southern, so I just had to give this a try! Magnolia trees are very common in the southern states of the United States, and with a title as "Among the Fair Magnolias", one would easily tie the setting to somewhere in the south. "Among the Fair Magnolias" is a collection of four separate historical novellas, all set in the south within a decade before or after the war between the states, better known as the Civil War. Each novella are written by a best-selling Christian novelists (Tamera Alexander, Shelley Gray, Dorothy Love and Elizabeth Musser) with themes of freedom from love, from honor, from the past or freedom of self. Each story is a beautiful journey we share with a Southern woman, as we read through their story. I've been reading a lot of novella collections lately due to my schedule, and I am happy to read a collection that truly gives readers a sense of closure. Since each is a novella, I came in hoping that each will conclude with a sense of "artistic" resolution. It may not be a conclusion I, as a reader desire, but it needs to provide my heart a conclusion without further speculation. Otherwise, what is the point of a novella? Why not write a full novel? With "Among the Fair Magnolias", each story relates to the main char and Dacters' struggles in a turbulent era to find love and freedom of self. By the end of each story, we understand and have journeyed with this or these characters to what we see as a ending to this chapter of their lives. If it was in real life, it will continue with a time of new beginnings. I've read novels by Tamera Alexander, Shelley Gray and Dorothy Love, but have yet the pleasure of reading something from Elizabeth Musser. I am glad to have finally read one of Ms. Musser's works in "Love Beyond Limits" from this collection. With this story, I see that Ms. Musser, like the other 3 authors are not afraid to touch topics that are sensitive and have done her research for her works. I look forward to reading her other novels as well. If you are a fan of any of these gifted women, you will not be disappointed with "Among the Fair Magnolias". The title provides a calmness to me when I first picked it up (ironic as it is, since the stories are set in such tumultuous times). Is it the image of shading under a big and beautiful magnolia tree that calms me? Or is it just the idea of reading a collection written by inspiring authors with God's presence? Whatever it is, I hope this story will provide insight to the struggles in your heart for whatever freedom you desire. Among the Fair Magnolias brings together some of Christian fiction’s great authors, who contribute stories that depict the American South during the period around the Civil War. Through four diverse love stories, they bring the period to life and show the undeterred nature of America’s women in the face of some of life’s greatest challenges. Ms. Love’s “Heart So True” tells the story of Abigail Clayton as she faces the choice between following her father’s wishes for a spouse or finally marrying the man who has captured her heart. “To Mend a Dream” by Ms. Alexander continues the story of Susannah Darby (from To Win Her Favor), who lost her family’s home after the Civil War and finds herself having to redecorate the house as part of a commission for her work as a seamstress. When Northerner Aidan Bedford encounters Susannah admiring his newly-acquired land, his view of the future suddenly changes. In Ms. Musser’s “Love Beyond Limits,” Emily Derracott pushes cultural norms in the South with her insistence on educating her family’s former slaves. When her father insists that she marry a long-time neighbor, Emily must choose between her politics and social convention in a reconstructed South. Lastly, “An Outlaw’s Heart” by Ms. Gray focuses on Russell Champion, who returns to his hometown after spending the last seven years running from his past. When he finally revisits his mother and the girl he left behind, Russell must choose between leaving again or finding a new life with those he loves. Overall, I was quite thrilled with Among the Fair Magnolias. Fans who enjoy any of the authors’ novels and other stories will definitely appreciate the book, as it offers many connections with characters, settings, and storylines first depicted in the authors’ other works. Additionally, those readers who enjoy Southern-inspired Christian fiction will also appreciate the compilation. In general, I thought the stories fit fairly well together. The book reminded me of compilations of L.M. Montgomery’s wonderfully sweet and inspiring short story collections, with a slight change in geography. At several points, the stories in Among the Fair Magnolias shared similar themes and premises to examples of Ms. Montgomery’s work, which I found to be absolutely delightful. Special thanks to BookLook Bloggers for the advanced copy of Among the Fair Magnolias! I love novella collections, I really truly do. I love them for vacation to carry a little bit of everyone with you. But I also love them for meeting new authors. In this instance, all four of these ladies are not new to me. Actually all four of these ladies find themselves on my favorites list. Contains four sweeping stories from bestselling historical romance authors. Provides novella-length releases between authors' full-length novels. One-of-a-kind stories set in antebellum and post-bellum Georgia, South Carolina, Tennessee, and Texas. Dorothy Love writes a good deep story. Even for a short story her writing can captivate an audience. It's amazing when a character can make you so angry... I was wondering if this was going to be along the lines of an unrequited until very later years love story like a Nicholas Sparks novel. Reading the whole of A Love So True I'm glad I kept going because at points I wanted to just walk away from the story out of frustration. I think that in the end I'm a satisfied reader however. It was also neat to be able to revisit Pawley's Island, the setting of Dorothy's Caroline Gold, with my own memories of the shore line of the Isle of Palms on my mind. Tammy's characters are always so amusing, yet real in my opinion. When as a reader you approach a novel by Elizabeth Musser, one often knows not to expect a light read. Her books are full, filled to the brim with emotion and relatable experiences. I'm most familiar with Amish stories that Shelley has written and those I've really enjoyed. Tamera Alexander is a USA Today bestselling author and one of today's most popular writers in the inspirational historical fiction genre. She and her husband live in Nashville, Tennessee, not far from the Southern mansions that serve as the backdrop for six of her award-winning novels.